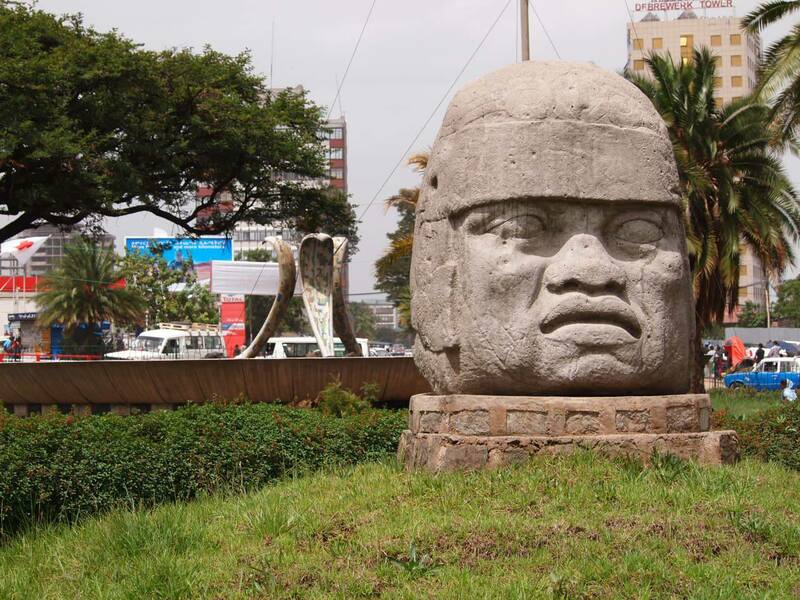 Mexico’s ambassador to Ethiopia, Mr. Alfredo Miranda, has announced that the historic Mexico Square in Addis Ababa will be reconstructed after the completion of the light railway project. Due to the construction of the light railway route, various historic sites, roads, and buildings – including the statue of martyr Abune Petros – have been displaced from their original positions. The demolition of Mexico Square, which has been one of the city’s major sites for years, has been a talking point for many of the city’s residents. Although undertaking a city-wide construction project comes with certain sacrifices, some reports say that certain artifacts and historical sites have not been properly handled. It’s been reported that looters have been taking advantage of the demolition of these sites to take possession of some of the building materials. The history of Mexico Square comes from events that happened in 1935-1936, when Ethiopia presented its case against the Italian occupation to the League of Nations. Mexico was one of the few countries that showed camaraderie and support to Ethiopia at that time. Following this event, the Mexico Square was built in Addis Ababa and has been a historical site ever since, symbolizing the friendship between the two countries. Ambassador Alfredo Miranda responded to the questions about proper handling and storing of the historical articles. He stated that the historical helmet on Mexico Square which symbolizes Mexican warriors has been carefully taken to the national museum. He added that no other artifacts are at risk of getting damaged or destroyed. The Ambassador said he has personally spoken to the concerned parties at the Addis Ababa Cultural and Tourism Office, including the city mayor about this issue. He expressed his gratitude to those who cooperated in transferring the helmet to the National Museum and reassured the public that the Square will be reconstructed in a modern fashion on its original position after the completion of the railway project. Remarking on the demolitions, the Ambassador said since the railway construction will bring a solution to the heavy traffic problem in the city, the temporary demolition of the Square is one of the necessary sacrifices that needs to be paid for the sake of the city’s development.